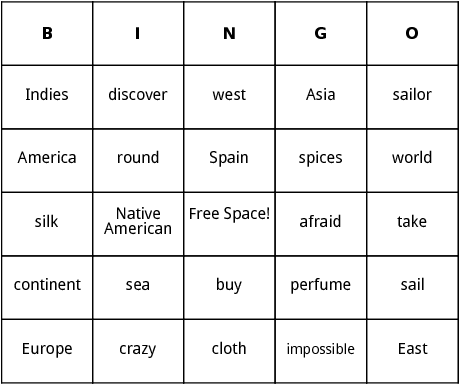 Make printable Columbus Day bingo cards for any event. The scrambled cards include words like "gold", "sail" and "Spain". You can add more words to the list and make the game last longer.